A perfect mix of classic styles and colors make Renaissance a premium collection designed to grab your attention. Intriguing details are front and center. 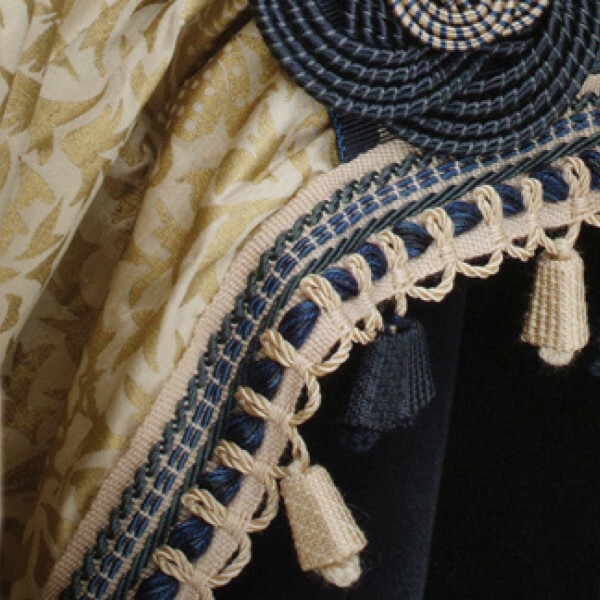 The full-bodied hand-tied tassel fringe, gorgeous open gimp, and caterpillar rouche create a look of royalty. These European passementeries exude quality and good design which will elevate your design decor.